to limit the number of patients that can be assigned to a nurse at any one time. or quantifiers (such as “most nurses”, “some nurses”, and so on). seem like a convincing argument for a yes-vote. while maybe not really saying it. [Update:] As pointed out to me by Michelle Yuan, another aspect of these signs is rooted in the essentialist signal sent by generic bare plurals. 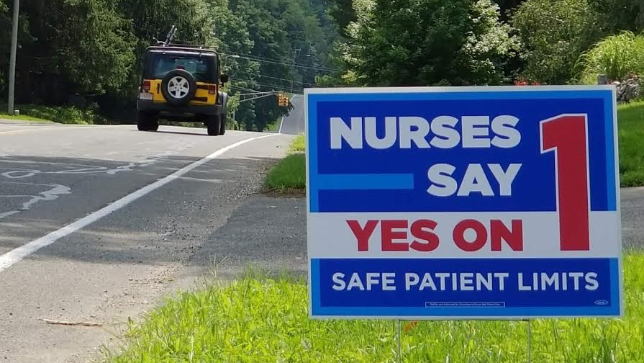 By saying “nurses say yes/no”, what each side is actually claiming is that real nurses say yes/no. 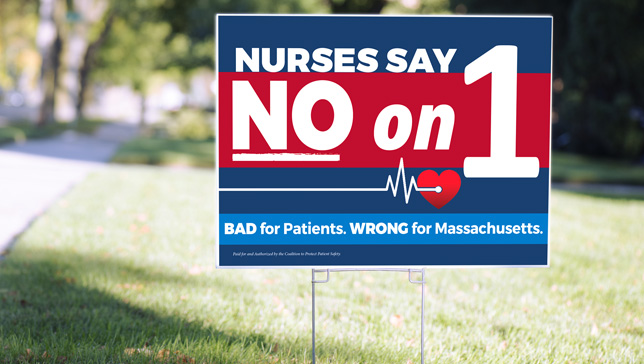 It would be much closer to the truth if the signs said “management nurses say no” and “union nurses say yes”, but even that is of course an oversimplification. The very problematic essentialism often inherent in bare plural statements is also something that Mark Liberman mentions in his follow-up post, with many more references.